Fully automated classic swing trading strategy combined with fixed fractional pyramiding for entry and adaptive algorithm for exits. The expert also includes info panel, advanced alert system, push notifications and features for risk control. The strategy itself is very predictable and very easy to use. There are only a few parameters and there are no surprises. The expert gradually builds positions one trade at a time and exits in reverse order one trade at a time. During the whole trading operation you receive messages in real time directly to your smartphone. With this system you always know the status of the open positions. There is also a quick button on the panel if you decide to close all trades manually. Clean, simple and easy to use strategy with only a few settings. Info panel where you can see the status of the account and the open positions. Also from the panel you turn the Expert on and off. Quick button to manually close all positions if necessary. Advanced alert system with several settings. You can receive alerts locally, or directly to your mobile device when you are away from your desktop. Magic Number - set unique number to filter the trades. Leverage Ratio - variable lot based on account size. If you set 0 then the expert will trade with the fixed lot. Lot - initial trade size. (Fixed lot). Fixed Lot for All Trades - true means that all additional trades will have the same lots size as the first trade. false means that each additional trade will be larger that the previous. Add Step - trade step for the pyramiding algorithm. Max Open Trades - maximum open trades. 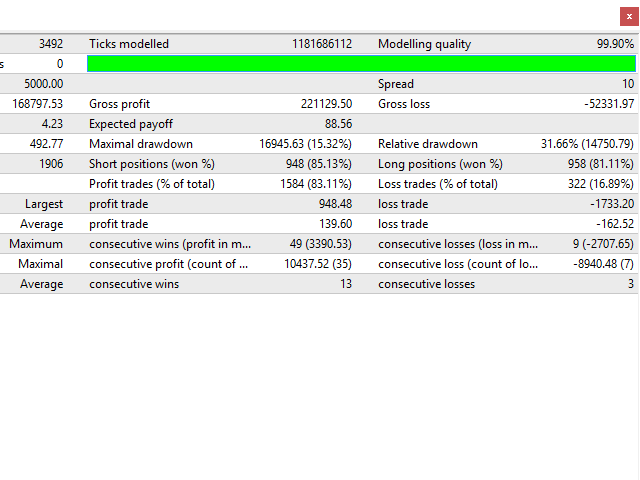 If this value is reached the expert will not open more trades and will enter into close only mode. Max Position Drawdown (in currency) - at this value the expert will close all positions and will turn itself OFF in order to protect your account. Max Position Drawdown (in percent %) - maximum position loss as percentage of Balance. Position Stop Loss (in pips) - fixed Stop Loss level based on the open price of the first trade in each position. Minimum Time Between Add Trades (Hours). Pause after SL event (Hours). Hide Panel - you can disable the panel in the strategy tester to gain some additional speed. System Always ON - with this setting you can keep the system always ON. If you set it to false the buttons will reset to default position every time when you restart the platform or if you change the settings. Panel Size Multiplier - controls the size of the panel. Font Size Multiplier - controls the size of the font. Arrow Buy - arrow color. Arrow Sell - arrow color. Messages Always ON - keeps the buttons always ON. Otherwise they reset to default position automatically when you restart the platform. Message for New Trade - sends messages in the form of alert or notification when new trade is opened by the expert. Message for Take Profit - sends messages when take profit event occur. Symbol - EURUSD is the preferred symbol because it's the most stable and has the lowest spreads. But the system generally works with all major Forex pairs. If you wish to trade other pairs and crosses make sure that you have the correct settings. Connection - 24/5 connection, ideally you can use fast VPS or your own local server/workstation. 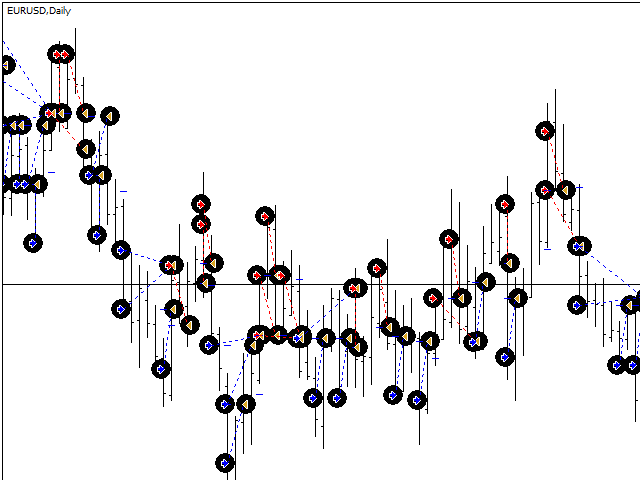 Broker - ECN with low spread, high leverage, and without FIFO. Minimum Deposit - 1000 USD per 0.01 lot if you trade EURUSD with the Default settings. If you want to trade other pairs or different settings then you have to do your own optimization in the tester. Time Frame - you don't have to do anything. The expert will select the timeframe automatically at startup. If you have some questions or if you need help or advice, please contact me via private message. I will answer your questions as soon as possible. Despite the recent negative reviews here which I totally respect from the fellow traders, my opinion and experience in this EA is great until now. I'm using it on 7 pairs with small lot and I'm getting good results. This is a long term EA imo, so you need to give it time to see nice outcomes. Купила советник 3 недели назад. Поставила на реальный счет на 11 пар. На некоторых парах изменила step. Пока результаты меня очень радуют. Просадка низкая. Стоимость советника окупилась за 2 недели. I won't say anything again. It's your right to pay 399 $ to try what I really say. But for me, goodbye, sorry for reducing your income But I am the person who pays you. I have the right to speak the truth. EA, you are not as good as backtest. Create a scam. VPS is having problems when it EA runs on many parity.I think, If the update is limited to 5 times per minute, the problem will be eliminated. Can you update this problem for it will new version? or can you recommend me other resolve? This EA makes a very solid impression to me. In contrast to the authors recommendation imo eurusd is one of the worst pairs to use it, but default settings work on almost any other. Be smart in selecting the symbols to trade and you will be happy. Great EA, very smart way to handle DD. Bought the full version last week, easy setup, now running on VPS with a live acount trading EUR/USD. 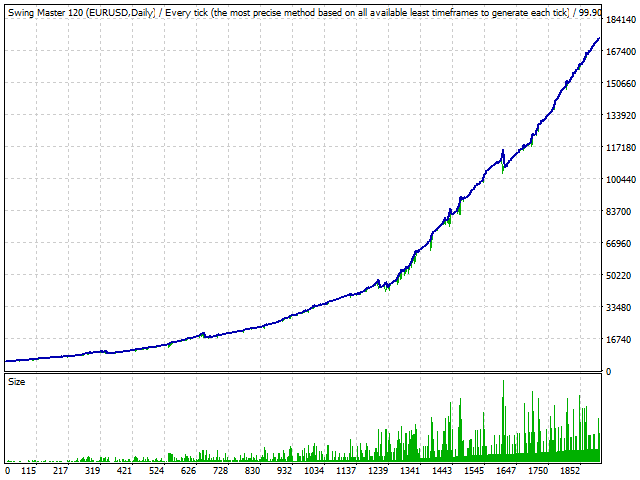 i can work,but the backtest has problem,the EA size is bigger than other mql5 over 1000KB(1 Mb). In the backtest,if you move the pairs data,for example, 2010.1.1 the eurusd price is 1.0000 you use soft or tools,change all the data later one week, so 2010.1.8 the eurusd price is 1.0000.the backtest results will total differents. in the backtest,if you change pair's name but you the same data,the results should be the same,but in fact this ea has total different results. And author still say EA bigger is hide many funcitons in it,but not use. i think every one has own thinking. 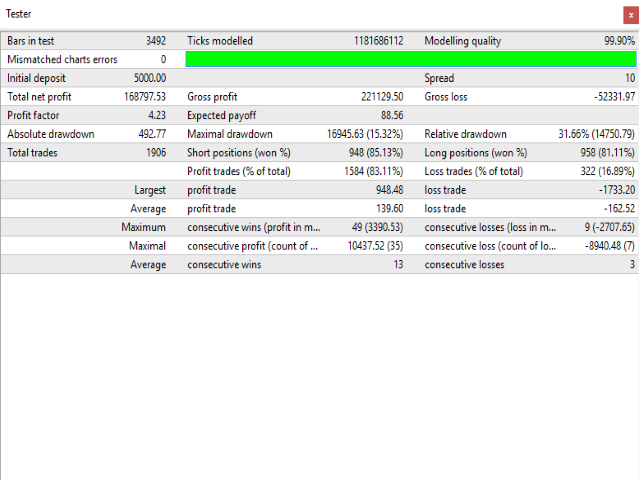 Works well now,i did many backtest not recommend using it on EURUSD,Bactest report's please read the Commends. - Added option for Trade Comments. - Improved the Alert and Notifications system. - Fixed several inefficiencies in the main algorithm. 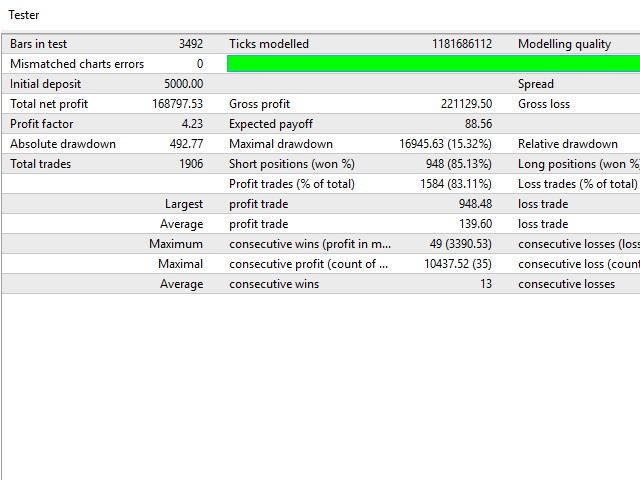 - Changed the setting "Max Open Trades" to control the actual total open trades and not only the additional trades. 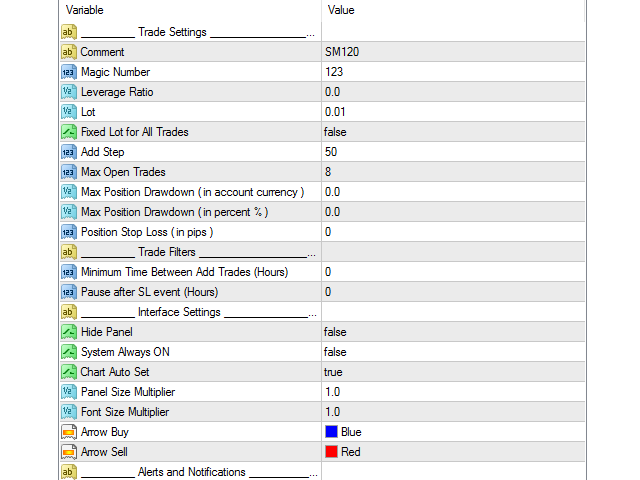 - Added option to set Fixed lot size for All trades. 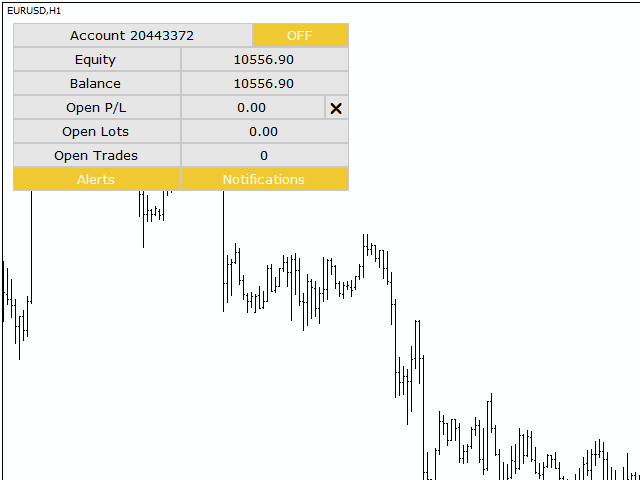 - Added option to set Maximum position loss as percentage of Balance. 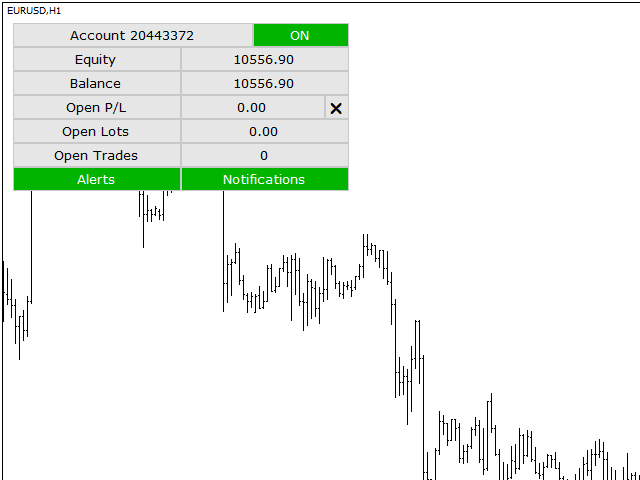 - Added option to set Stop Loss Level in pips. Additional settings for the panel.